Collection is from Grenoble Station. Drop offs are at Avignon TGV station. 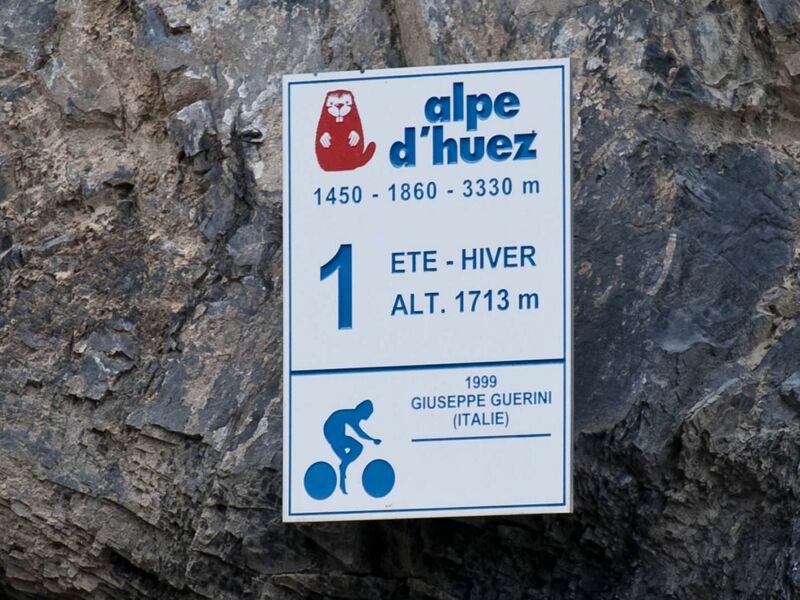 Our tour of the mythical cols encompasses many of the mountain passes that have passed into legend in the battlegrounds of the Tour de France. Each day includes at least one of the géants, yet is manageable for a wide range of sporting riders thanks to our outstanding support team. You will take on such famous climbs as the Galibier, Alpe d'Huez and of course the fabled Mont Ventoux, which together with the Tourmalet in the Pyrénées make up the most mythical of the climbs of the Tour de France. We collect from Grenoble airport and station, and transfer to our hotel on the outskirts of town. The hotel has a lovely swimming pool in a sunny courtyard for relaxation in preparation for the week ahead. If there is enough time, we can head into the hills just south of Grenoble to warm up and check out the bikes, before a great dinner to prepare us for tomorrow’s ride. We start our day with a gentle climb passing through the village of Brie-Et-Angonnes and enjoy the wide open descent into Vizelle with its impressive 17th century Chateau. Now in the valley of Romanche we follow the river upstream and climb 440m over approximately 40km. We may stop for an early lunch in Allemond or continue to Bourg d'Oisans. 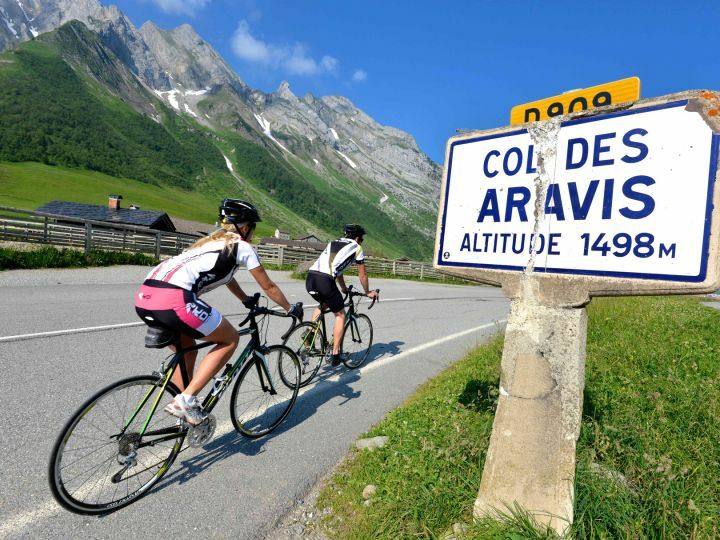 This town has seen many Tours de France pass through, as well as La Marmotte cyclosportive each year. This is where the climb of the day begins. In 1997 Marco Pantani rode from here up to the top of L'Alpe d'Huez in 37 minutes, and although no-one is ever likely to beat that time, it’s our turn up the legendary 21 hairpins this afternoon. If you can make it in under one hour that’s an impressive feat by anyone’s standards. We stay on the Alpe that evening exchanging stories of the days adventures. A very big day! Setting out from Huez village, we cut across the face of the valley to Villard-Reculas, pausing to look back at a perfect view of the hairpins of the Alpe, to Oz-en-Oisans. From there it's stunning scenery all the way to the Col de la Croix de Fer (2067m). Another climb in the shape of the Col du Mollard (1,638m) gives us an appetite for lunch before we descend to St-Jean-de-Maurienne and spin along the Maurienne valley to the base of the Col du Télégraphe (1566m). This Tour classic featured most recently in 2017, and proves a testing end-of day climb at a steady average of over 7%. From the top we roll down a few kilometres into Valloire for the night. 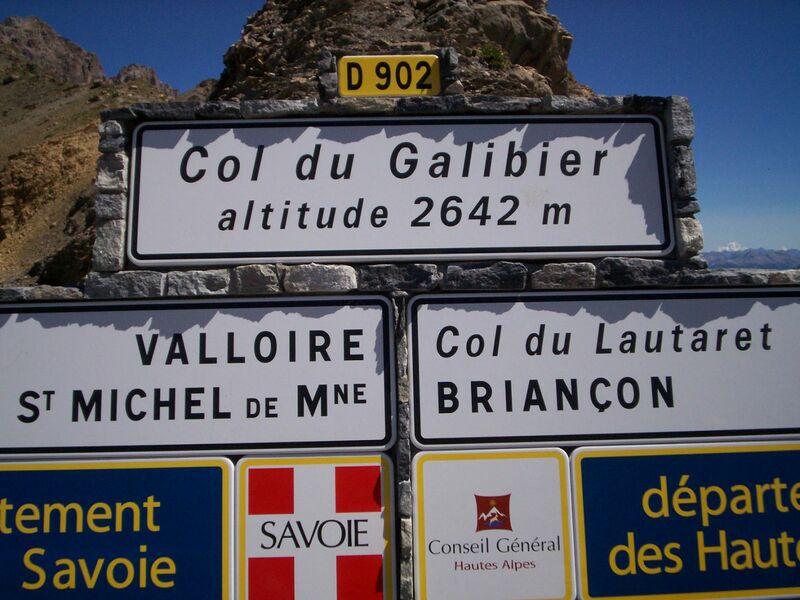 Straight up one of the most fearsome of all cols, the Galibier (2646m), first thing in the morning sounds tough but there are a few flatter kilometres at the bottom before it kicks up! After this it's an exhilarating descent to the Col de Lauteret (2068m, but it doesn't count in this direction!) and then we rocket downhill for 20km to lunch in the Serre Chevalier valley. 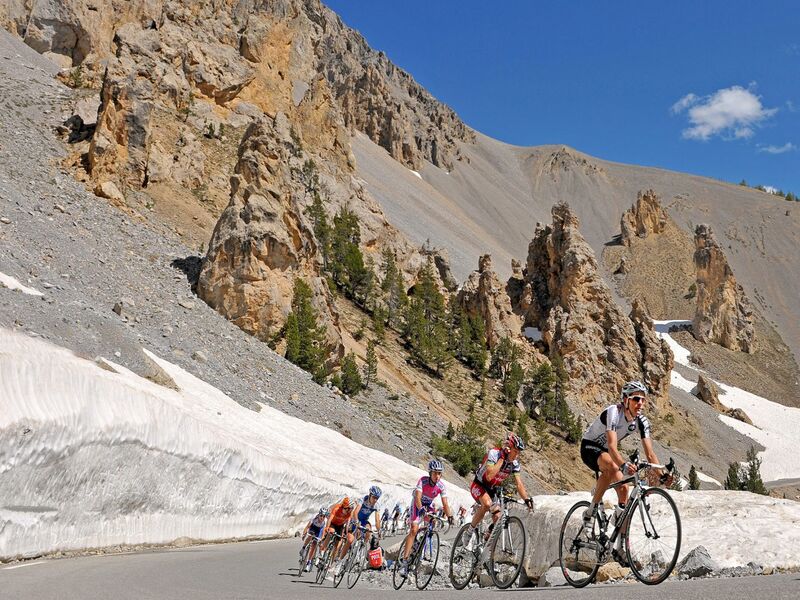 Passing through Briançon, we head up to the Col d'Izoard (2361m). If time allows and it’s open, we can visit the cycling museum near the summit. On the way down we pass through the Casse Deserte, an alien landscape of jumbled rocks where there is a monument to Fausto Coppi and Louison Bobet. 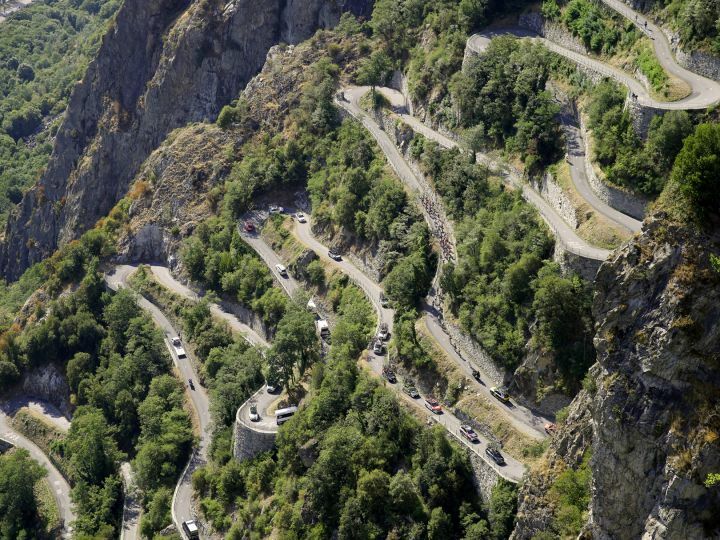 The descent follows the Combe de Queyras, a beautiful steep-sided river valley. Down in the valley we ride along with beautiful views of the Durance gorge to Embrun, where we stay just outside town. Today has a number of lesser-known but challenging and beautiful cols, before we tackle Mont Ventoux tomorrow. We head down the valley of the river Ubaye to the unbelievably blue Lac de Serre-Poncon. From here, we take in a set of cols to add to the list – the Col St Jean(1333m), the Col des Garcinettes (1,185m), and the Col des Sagnes (1,200m). We finish in the medieval town of Sisteron. If your legs aren’t too sore you might like to walk the town ramparts or visit the citadelle dating from the 11th century. 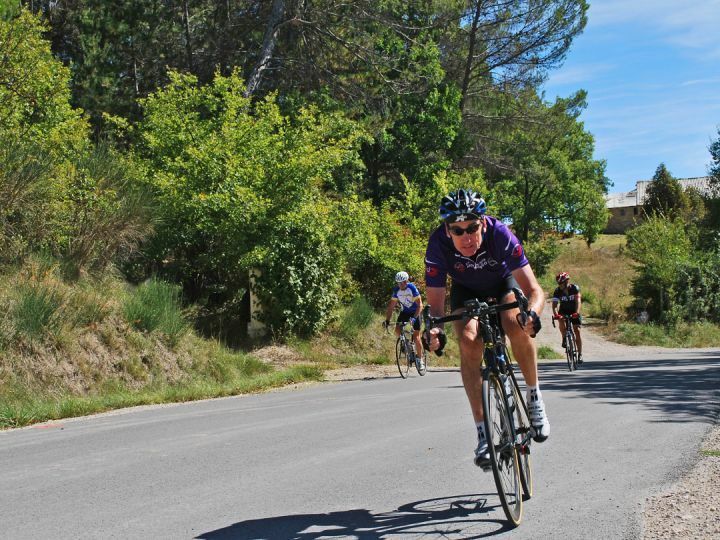 A gradually rising road gains us altitude as we head towards the 'Giant of Provence'. 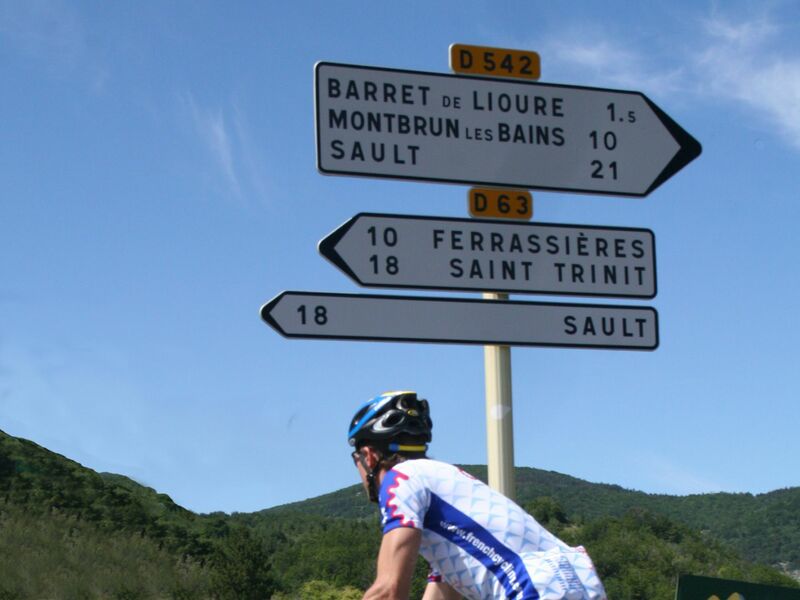 A series of small cols breaks the climb - the Col de Pigiere (968m), the Col de Macuègne (1068m) and the Col de l'Homme Mort(1211m), then we descend into the town of Sault, a crossroads for those setting out for le Mont Ventoux, and full of cyclists. From Sault, we climb to Chalet Reynard reaching the same point as the tour riders. Taking in the eerie lunar landscape, devoid of any vegetation we can stop to pay respects at the Tom Simpson memorial, and then take on the last kilometre to the weather station at the summit (1909m)! Our reward is then the superb descent to Malaucene where our hotel awaits with a welcoming swimming pool, and at dinner we can forget about big miles in the morning and indulge in a glass or three of the superb wine made on the slopes of the mountain. After breakfast we transfer to Avignon for onward journeys via TGV to Grenoble, Lyon or Paris and beyond. 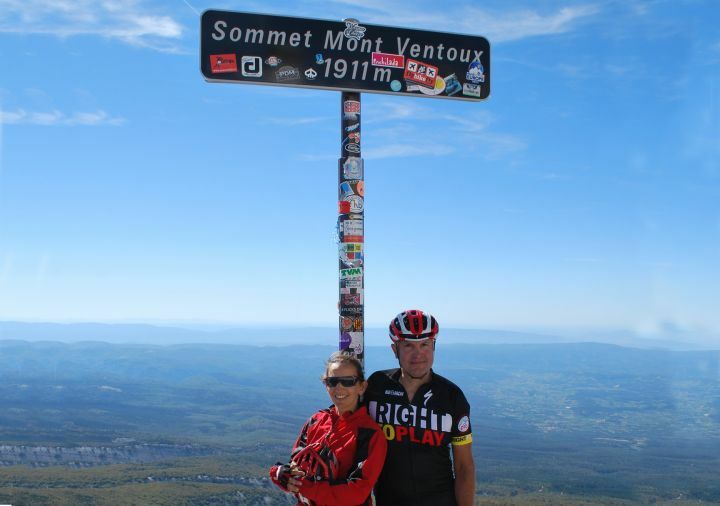 Those wishing to stay on can try their hand at the triple ascent of Ventoux – once each from Bédoin, Malaucène and Sault in a day! On the outskirts of Grenoble (allowing a quick exit avoiding the traffic! ), the 3* 17th century Chateau offers commanding views of the Vercors massif, and in addition to the outdoor swimming pool and indoor spa, the landscaped gardens are perfect for a post-ride beer or two. A traditional ski-lodge in Valloire, the Christiania is perfectly situated between the Col du Télégraphe and the Col du Galibier. Although only rating 2*, we have found the hotel to be much more comfortable and welcoming than the neighbouring 3* establishment, and as an adherent to the Logis de France organisation, a fantastic dinner is guaranteed! The 3* Bartavelles is beautifully situated by the Lac de Serre-Ponçon underneath the Boscodon massif. Another hotel with a much appreciated swimming pool, we love the Bartavelles restaurant- after 10 years of partnering with us, the owners know exactly how to combine local cuisine with the needs of hungry cyclists! A traditional hotel in this bustling market town, the comfortable 3* Grand Hotel du Cours is in easy walking distance of the medieval citadel with its dominating tower. Another hotel with a splendid restaurant, accommodating the energy needs of a sporting cyclist within fantastic local culinary traditions, our long association with the Cours is reflected in the warm welcome our guests receive.